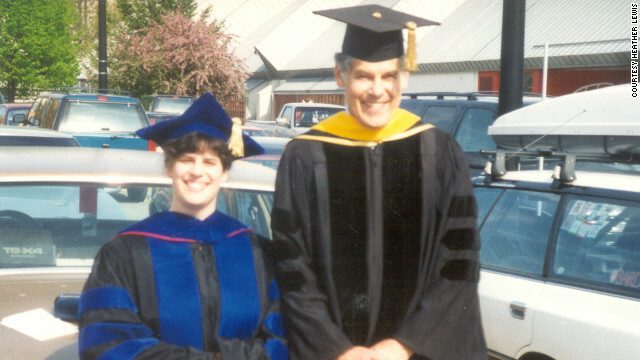 Heather Lewis at her Ph.D. graduation with her father. Editor's Note: Matthew Lane is a Ph.D. candidate in mathematics at UCLA and is the founder of Math Goes Pop!, a blog focused on the surprisingly rich intersection between mathematics and popular culture. Follow him on Twitter at @mmmaaatttttt. There are many misconceptions about mathematicians in popular culture. For example, windows and mirrors do not make for the best writing surfaces, despite what you might assume from "A Beautiful Mind" or "Good Will Hunting." Mathematicians are also frequently portrayed as painfully socially awkward. And while this is sometimes the case, the true range of personality types is much more varied. Even among the more socially awkward, it is not uncommon for mathematicians to fall in love, marry and start a family. Did 'Avengers' really own box office records? Editor's Note: Matthew Lane is a Ph.D. candidate in mathematics at UCLA, and is the founder of Math Goes Pop!, a blog focused on the surprisingly rich intersection between mathematics and popular culture. He is also a contributor to the Center for Election Science. You can follow him on Twitter at @mmmaaatttttt. When the Avengers assemble, the world opens its collective wallet. 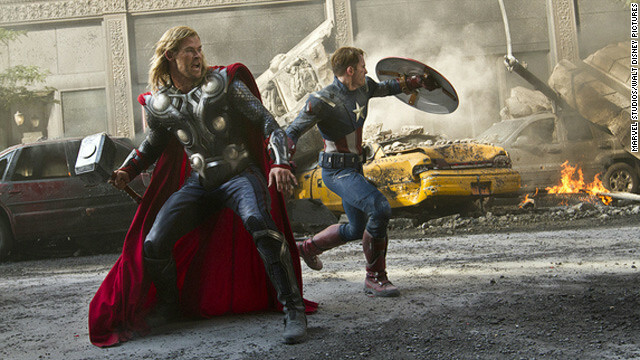 In just under three weeks since its international opening, "Marvel's The Avengers" has earned more than $1 billion worldwide. In America, it blew through the $200 million mark over opening weekend alone, and now holds the title of best three-day opening in film history. Or does it? Editor's Note: Matthew Lane is a Ph.D. candidate in mathematics at UCLA and is the founder of Math Goes Pop!, a blog focused on the surprisingly rich intersection between mathematics and popular culture. You can follow him on Twitter at @mmmaaatttttt. Whether you are trying to make the best decisions for your fantasy baseball league, looking to capitalize on an opportunity in a fluctuating stock market or simply filtering through the results of a Google search, it is hard to deny that we are surrounded by more data now than ever before. As such, the task of organizing and drawing conclusions from data can be a challenge, but thankfully mathematics can, in many cases, rise to the occasion. The application of mathematics to such a rapidly increasing pool of data, however, is not without controversy. For example, in February The New York Times published an investigation written by Charles Duhigg about the value of consumer data to major corporations, and how those corporations can use your data in an instinctively creepy way. Although Mitt Romney claims to be the mathematically inevitable Republican presidential candidate, voters remain less than excited about him. According to a recent Gallup poll, only 35% of Republicans would enthusiastically vote for him this fall. This is below the 47% John McCain had around this time in 2008, and also below the 55% and 53% enjoyed by Barack Obama and Hilary Clinton, respectively, when they duked it out four years ago. There's still plenty of time until November, but for now it seems Republicans haven't yet completely warmed to their presumptive nominee. When the results of an election (primary or otherwise) run counter to our desires, it is easy to scapegoat the political process. The right person didn't win, we may argue, because the system itself is broken. The two-party system, for example, is sometimes cited as a leading cause of the current dysfunction in Washington. But perhaps much of what ails the political climate comes from an underlying mathematical dilemma in the way we determine the winners of our elections. 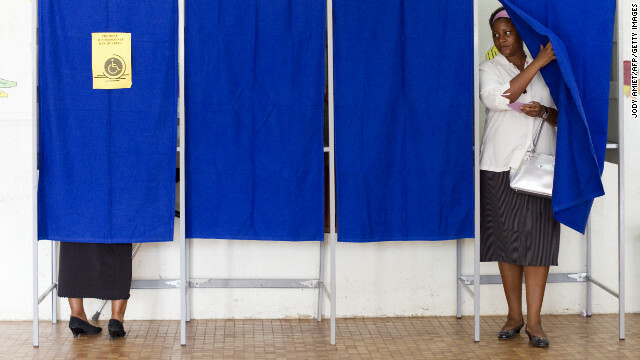 The mathematics of voting highlights many problems with current systems, and also proposes some interesting solutions.